Prof. Jacek Ireneusz Witkoś (born 1963) is full professor of English linguistics at Adam Mickiewicz University in Poznań, Poland. He obtained his title of Doctor of Philosophy in 1993 on the strength of the dissertation Some Aspects of Phrasal Movement in English and Polish. Since 1999 he has been the head of the Department of Polish-English Comparative Studies at AMU and is deeply involved in research and teaching in the areas of English linguistics, generative grammar, English syntax and morphology, Teaching English as a Foreign Language (TEFL), contrastive and comparative syntax and the syntax of Slavic and Germanic languages. He is the author and co-author of over seventy publications and edited volumes, including five monographs and organizer of numerous conferences and workshops in his field. So far he has successfully acted as supervisor for seven Ph.D. students. He spent several years as visiting scholar and researcher in foreign Higher Education Institutions such as the University of Maryland in College Park, U.S. (2000-2002), the University of Vienna (1994-1997) and the University of North Wales in Bangor, UK (1991-1992). Prof. Jacek Witkoś is active in professional organizations and scientific societies, he is a member of the Scientific Committee for Societas Linguistica Europea (SLE) and an executive board member of the Slavic Linguistic Society (SLE). 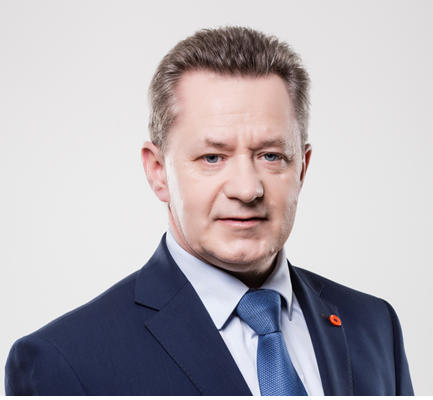 Jacek Witkoś is also actively involved in university administration. From 1999 to 2005 he was Deputy Head of the School of English, from 2005 to 2008 he was Deputy Dean at the Faculty of Modern Languages and Literature and recently, for the past eight years (2008-2016) he was Deputy President of AMU for Research and International Cooperation. His responsibilities included molding and developing an international strategy for the university (third largest in Poland, over 40 thousand students). He concentrated on fostering international cooperation in the field of research, joint research projects, student and academic mobility and joint study programs. His efforts helped increase AMU’s international profile. He has served as an executive board member for SGroup for the past three years. Prof. Witkoś was elected President of the SGroup Network in December 2016.
the legal representative of the Association. appoints a member of the Executive Committee to act as Vice-President and to replace the President in case of absence or incapacity of acting. is elected by the affirmative votes of the majority of the members of the General assembly. may be re-elected for a second and final period of office. To get more information about the President, refer to the Santander Group’s Statutes.